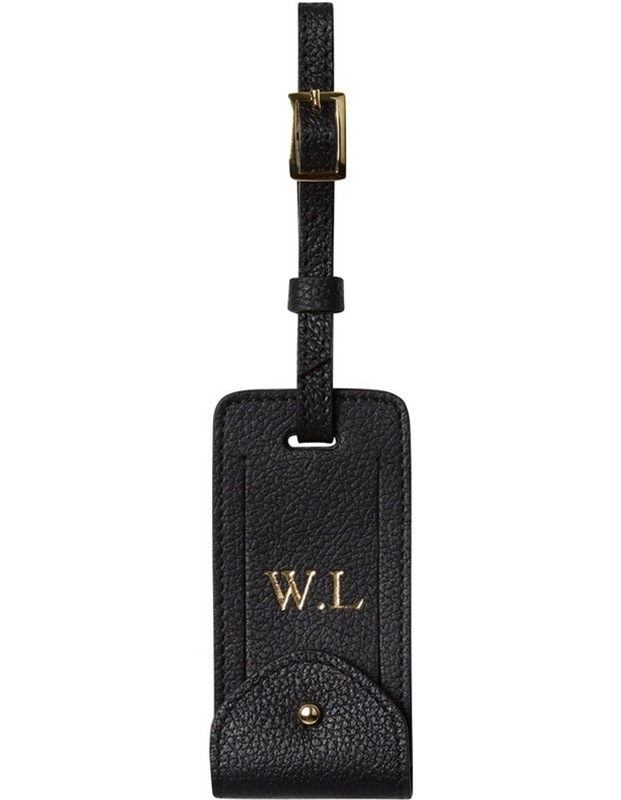 The Grainy Luggage Tag in classic black helps to identify your suitcase while travelling in style. Crafted from premium European leather, it is a practical essential for the frequent flyer and a statement in style, no matter what the journey. Boasting a sophisticated gold trim, make your suitcase yours by adding a personal touch. Features: a clear tab for displaying your personal details. Dimensions: 0.3 x 5 x 10 cm. Composition: full-grain calfskin leather with a firm, small grain finish.